Watch the news, tuned to you! Hope everyone had a great Thanksgiving! As we wrap up 2016, we have a lot of exciting news to share. First off, the Haystack TV app was just named 'Editor's Choice' by Google! This is a huge recognition for us and we couldn't have done it without your support. The BIG update across all our platforms is a new Local News Channel with content from Meredith Stations. It's been one of the top requests from our users and we want to make it easier for you to stay in tune with news in your community. Simply upgrade to the latest version of our app, go to settings, set your location, and watch all the news from your city in one place. We're currently featuring local news from the following markets, but this list is growing quickly, so please stay tuned. We hope to be in your city very soon! Local news available in: Atlanta, Hartford/New Haven, Kansas City, Nashville, Phoenix, Portland, St. Louis. Another cool feature we've added is single sign-on. This is especially useful if you watch Haystack TV on multiple platforms. Log in with your Facebook or Google account and we'll be able to sync your watch history and preferences across all your devices. Finally, we want to share with all of you that we've brought several new content partners onboard this year. In addition to Meredith, we've added CBS Interactive and Newsy. We're super excited to be working with them to provide you richer and better content. Keep watching and keep the feedback coming. With your help, we will continue to grow! We're excited to announce the new and improved Haystack TV app (version 2.0) is now live on your Apple TV App Store (thanks Apple for featuring us)! With the update, you will be able to share videos to Facebook straight from your TV. Get a more personalized newscast with the ability to mute topics and sources you don't want to see. Stay informed with featured breaking news stories, hand picked by our editors. More advanced settings including the option to turn HD on or off depending on your internet bandwith. Apple TV is a platform we really believe in, and we're pretty proud of this new release. We hope you'll enjoy the improvements and as always, feel free to send us feedback anytime. Today is Super Tuesday, arguably one of the most important days of this primary season and a key turning point in the 2016 race. Citizens from 12 states and one territory are heading to the polls today to vote for the Democratic and Republican nominees for president. 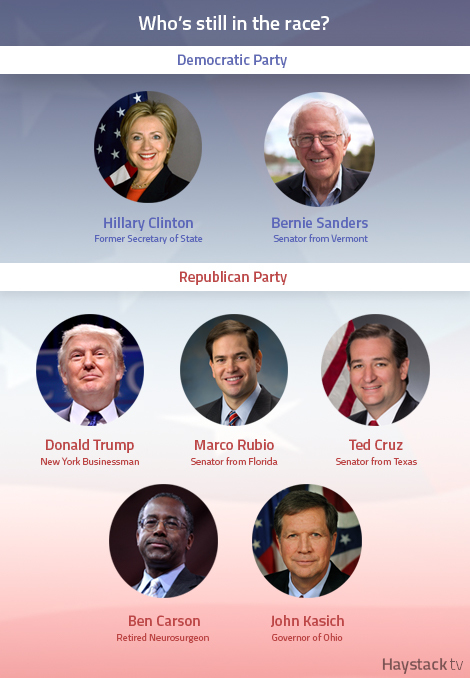 You can tune into all of the coverage on Haystack TV's Election 2016 channel on our apps and on our website. We'll have updates throughout the day! Meanwhile, here's a quick look at who is still in the race. With tonight's GOP debate, we thought it would be the perfect opportunity to introduce you to our brand new 'Election 2016' channel. No time to watch the debate live? Head to our new channel to catch up on highlights from the night and get pre and post debate coverage. We created the channel to give you a one-stop solution to watch news about candidates from both parties, and get coverage on primaries and conventions leading up to next November. You will also have news from a variety of sources at your fingertips! This feature is now live on iPhone, iPad and Android. Just make sure to get the most updated version of Haystack TV for iOS or Android. Give it a try and email us to let us know what you think! “We believe the future of TV is apps,” said Apple’s Tim Cook. 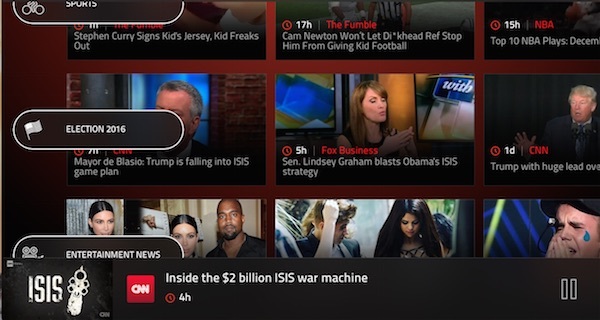 May we take it a step further and say that apps might just hold the future of TV news? Again and again, we’ve heard people say they want to find an easy way to watch the news on TV without having to pay huge cable bills. 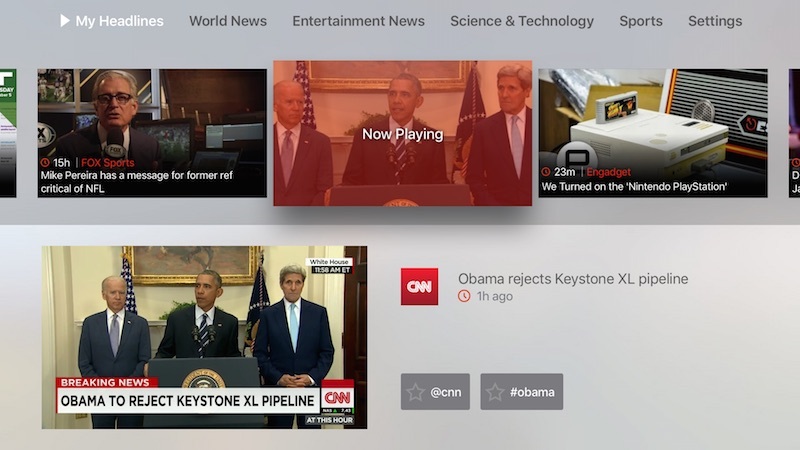 So when Apple unveiled a new Apple TV that supports third-party app developers, we got started on getting Haystack TV ready for the platform right away. We already supported Airplay on our iPhone and iPad apps, so it made a lot of sense to take it a step further and build a native Apple TV app. While designing for the new tvOS platform, we wanted to make sure we stayed true to our lean-back philosophy. That is, allowing you to simply switch on the TV and watch the stories that matter to you without having to do extra work. 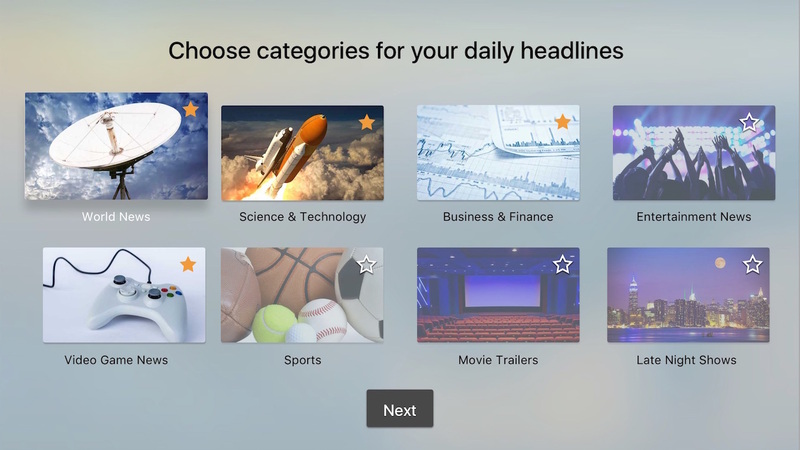 When you launch Haystack TV on your new Apple TV, your ‘headlines’ channel will start playing continuously with a video lineup that’s tailored to your specific interests. As usual, you can further personalize your newscast by adding favorite topics and sources. So what makes Haystack TV unique? 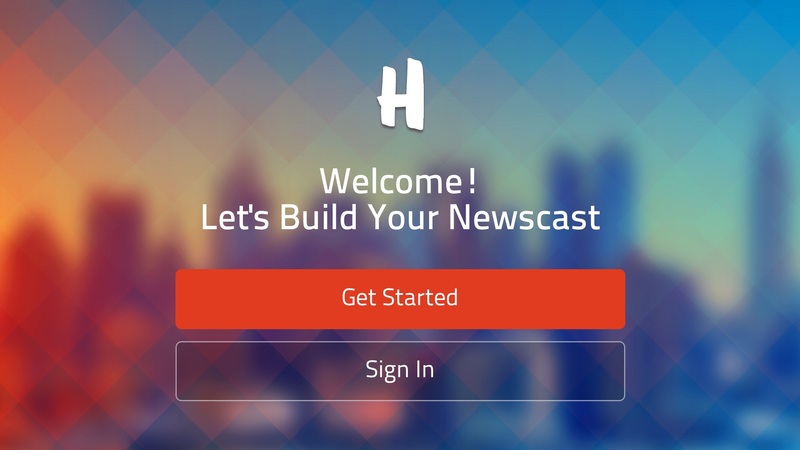 We believe it’s our dedication to creating unique newscasts for each user. Our personalization technology adapts to your tastes and gets smarter as you watch the news. 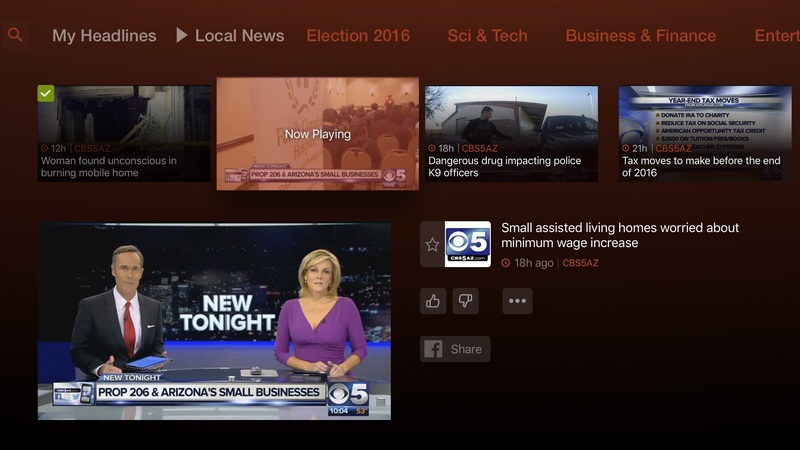 We also let you browse other news channels without having to interrupt video playback. We understand the importance of being able to multitask. So here it is! Check out these screenshots from our new app. To download the app, just search for “Haystack TV” on the Apple TV App Store. Email us at feedback@haystack.tv to let us know what you think. © 2014 Haystack TV Inc.